You’ve been working at a company long enough to know it with your eyes closed and you’ve been pursuing your passion that has produced another set of skills. Both allow you to be gainfully employed and then some, but you’re only working the one that guarantees to pay your bills. You aren’t being challenged at your current job and the jobs that would utilize your passion skill sets require years of experience to get hired. What do you do? Consider becoming a business owner. 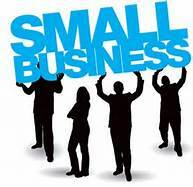 Visit your local Small Business Association, research your potential competition, interview businesses in the same industry you’re interested in. You can do anything with careful contemplation, planning and motivation!